A Great Man Has Died: Peter-Hans Kolvenbach, R.I.P. 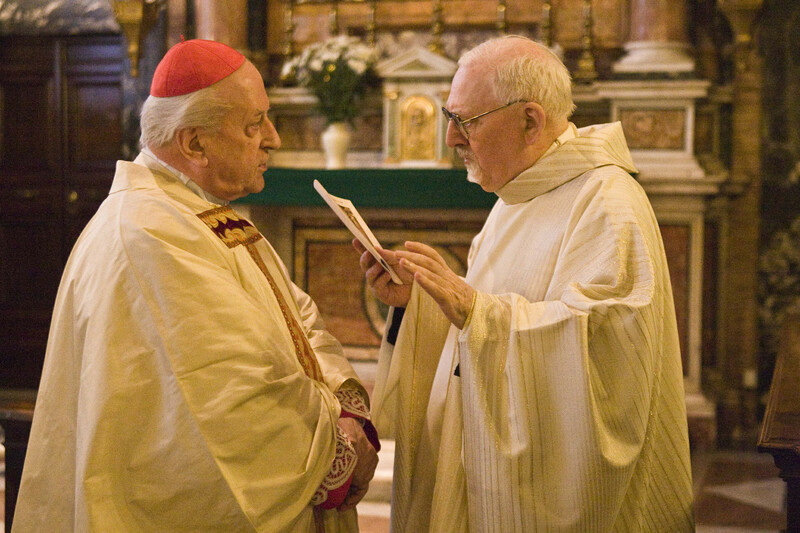 Word has reached the Jesuit Curia in Rome that a great man has died. Peter-Hans Kolvenbach, S.J., the Superior General of the Society of Jesus from 1983-2008 has died in Beirut. After a tumultuous few years under the papacy of St. John Paul II, Father Kolvenbach restored a sense of equilibrium between the society and the Vatican, with a deft and diplomatic hand. What the society owes him, then, is beyond measure. But for me the most moving part of his generalate came in how he left it. He was the first Jesuit Superior General to resign, and many say his resignation paved the way for Pope Benedict XVI's resignation. After he was replaced by Father Adolfo Nicolás, he was asked what he would do next. Whatever my superiors ask me to, he said. In the end, he became assistant librarian at the Université of Saint-Joseph in Beirut. I often told reporters that a great story could be written about how one of the most powerful men in the church was now working as an assistant librarian. "But it would never get written," said someone who knew him well. "Why not?" I asked. "He would never want to talk about himself. He's far too humble." In 1988 he came to our novitiate in Boston as part of a larger visit to American Jesuits. Each novice was supposed to ask Father General one question. I said, "Father General, how should we increase vocations?" I thought he'd talk about more advertising, more recruiting or more vocation directors. Instead he said, "Live your own vocation joyfully!" Rest in peace, Father Kolvenbach. James Martin, S.J., is editor at large at America and author of Jesus: A Pilgrimage.